Super Akin Black Matte Zero Need Help? 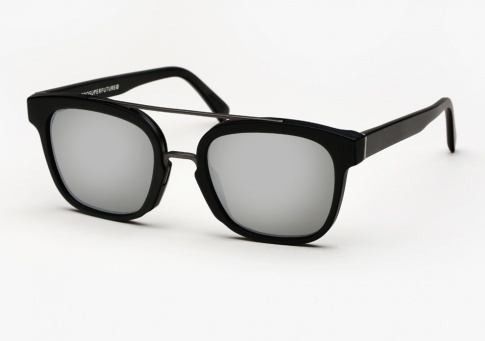 Akin Black Matte Zero is a well executed metal-and-acetate sunglass. The model is characterized by a matte black acetate frame counterbalanced by a hand crafted metal nose bridge, that holds together its classically-shaped ultra flat, base zero mirrored black lenses by Zeiss.